Because of popular demand I have made these posters available to buy through Zazzle. You can customize paper type/quality, size and framing to get exactly what you need. If you would rather print yourself feel free get in touch and I'll be able to send you some mega resolution files. When you are first introduced to vaping there are a lot of new terms and ideas you need to learn. Coils? Sub Ohm? Mouth to lung? 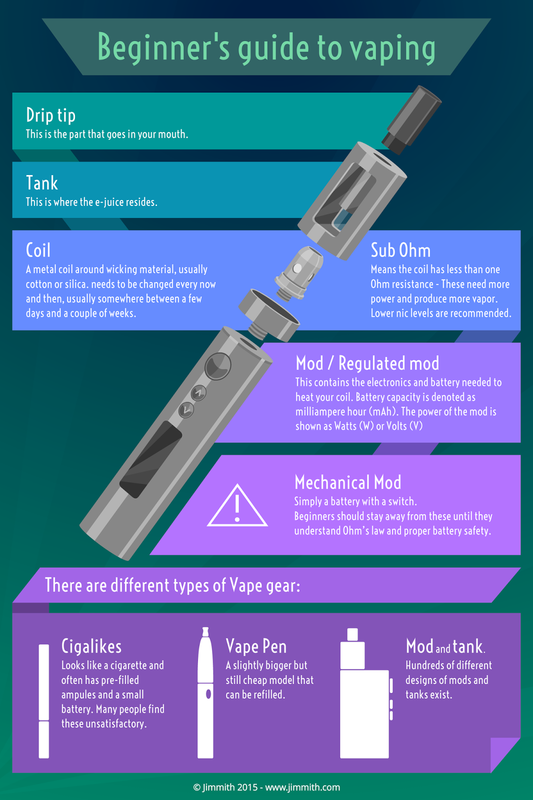 Aspirant vapers are thrown head first into a sea of lew lingo - And I hope that these infographics will help ease the learning curve a bit. I have done my best to keep this short and simple. This is not meant to be the end-all guide to vaping - My hope is that this will be something you link to someone who wishes to learn what these things mean. I have also made sure to make these in a print friendly format. Hi there. Thank you for providing this infographics. I want to request permission to translate these into spanish language. Thank you in advance and keep up the good work! 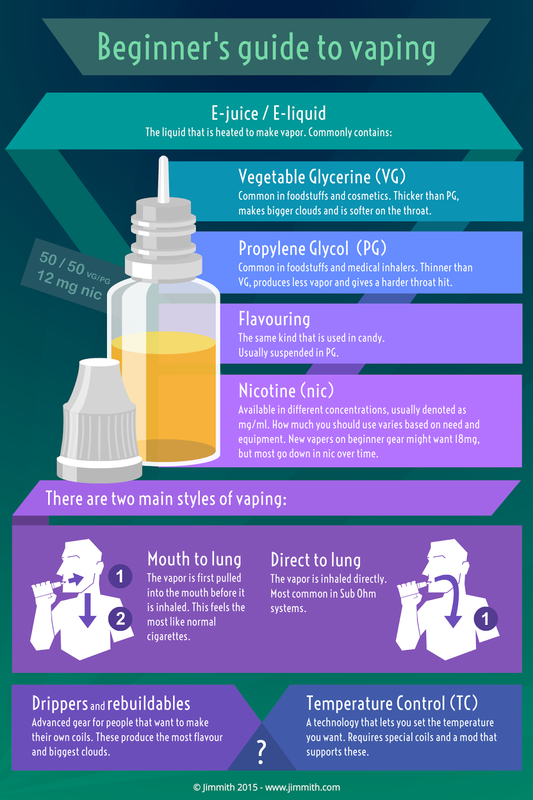 All the infographics that you have posted in your blog about vaping is really giving some important tips for those people who are just new to vaping stuff. Thanks for sharing this nice infographics in your blog.